Part of the TRIO DC SUPERFRIENDS world! Thirty-four easy-click bricks, sticks and panels let kids create 4 or more vehicles for Batman. 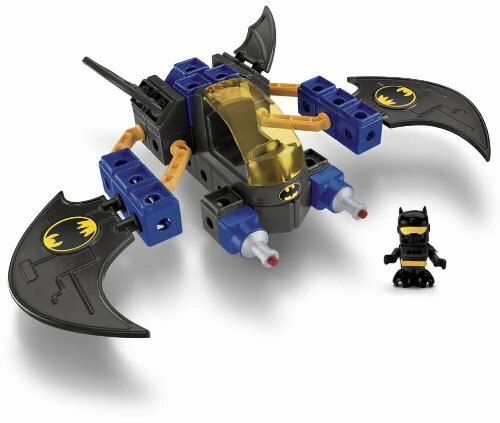 Build a Batwing, Batcopter, Snow Rocket or Hydrofoil - or build your own Bat-vehicle creation! You can spin the rotor, and the cockpit opens to fit Batman inside! Look for even more TRIO DC SUPERFRIENDS figures and accessories and build a world of SUPER fun!